Summary judgment can be used in cause cases in Ontario, but not even for straightforward dismissals in Alberta? Employment lawyers know that the use of summary judgment has expanded dramatically in recent years. Designed to circumvent the usual litigation process and reduce the time and cost of getting to judgment, summary judgment eliminates or abbreviates various steps in the process, including the trial itself. It has become common-place in wrongful dismissal claims in Ontario, but the jurisprudence in Alberta, which is governed by different rules of civil procedure, is very different. The theory is that summary judgment is appropriate where the facts are relatively straightforward and the need for extensive evidence and cross-examination is reduced. For years, I have been saying that the “garden variety wrongful dismissal case,” where the only real issue is the amount of notice of dismissal to which the plaintiff is entitled, is perfect for summary judgment. After all, do you really need examinations for discovery, viva voce evidence and cross-examination at trial to determine facts such as the plaintiff’s age, length of service, and position? In most cases, definitely not. For a period of time, employers sought to prevent summary judgment by muddying the waters with issues that would require evidence, such as just cause for dismissal or failure to mitigate. Doing so was quite likely to pre-empt summary judgment. However, the 2014 decision of the Supreme Court of Canada in Hryniak v. Mauldin was a dramatic shift, expanding the application of summary judgment. Since Hryniak, courts in Ontario have been willing to consider summary judgment even in cases where there were more complex factual issues, such as allegations of just cause. In Asgari v. 975866 Ontario Ltd., 2015 ONSC 7508, the defendant took the position that there was just cause for dismissal, yet the court granted summary judgment after weighing the evidence and finding that even if the allegations of misconduct were proven, they would still be insufficient to establish just cause for dismissal. That was a dramatic expansion of the use of summary judgment. The expansion of the use of summary judgment to matters where evidence has to be weighed was a game-changer. Employers could not easily prevent summary judgment by introducing issues like just cause or failure to mitigate, unless they could show that those issues required a full trial to be properly addressed. As a result, the threat of summary judgment can be a very effective tool in compelling a reticent defendant to come to the bargaining table. That is because they realize they probably cannot delay matters for months or years as the case winds its way through the litigation process. Instead, they will have to respond to the case, and face a potential judgment, within a few months. That said, parties in Alberta are apparently in a very different situation, as demonstrated by the recent decision of the Alberta Court of Queen’s Bench in Coffey v. Nine Energy Canada Inc, in which the plaintiff was terminated without cause and sought summary judgment for twelve months’ pay in lieu of reasonable notice. From an Ontario perspective, this would be a no-brainer, and the court could assess the case and render a decision at a summary judgment motion. However, Master J. R. Farrington reviewed the jurisdiction of the master under section 9(3) of the Court of Queen’s Bench Act, as well as the summary judgment procedure under rule 7.3 of the Rules of Court, and determined that assessment of a reasonable notice period was not appropriate at summary judgment. 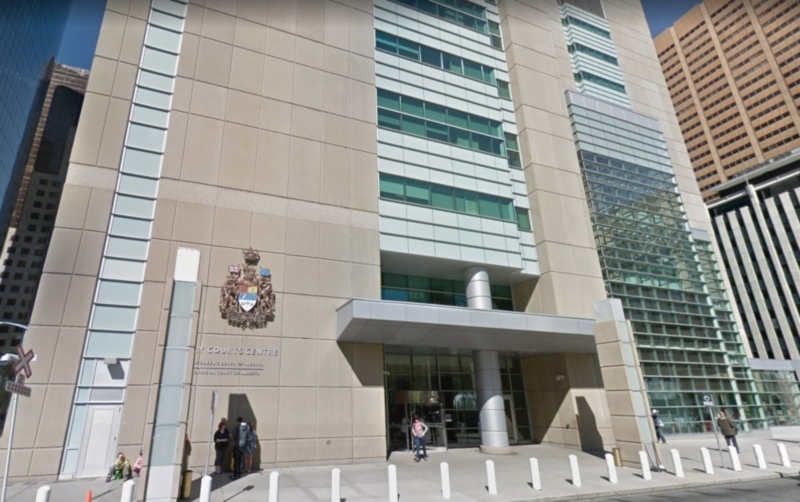 “While the Ontario rule under consideration in the Supreme Court of Canada’s decision of Hryniak v. Mauldin, 2014 SCC 7 permits the weighing of evidence, Alberta’s summary judgement rule does not permit such weighing of evidence by the court, whether before a master or judge. When a master or judge hears a summary judgment application, they are determining whether a certain specific result is unassailable and therefore sufficiently certain that a trial is not worthwhile. In a typical wrongful dismissal case, the court must weigh the evidence to determine which Bardal Factors should be given greater weight in a particular case. The matter was appealed and Nixon J. agreed that the assessment of a notice period involves the determination of contentious issues of fact that require evidence to be weighed. It is, therefore, not appropriate for summary judgment in Alberta. So, it is important to remember that while summary judgment has become quite common in wrongful dismissal cases in Ontario, even where there are allegations of just cause, the situation is quite different in jurisdictions like Alberta, where even a “simple notice case” will not be decided by way of summary judgment.